Spring is blossoming here at Canyon Cinema, and we’re celebrating with a recently arrived print from our co-founder, Bruce Baillie. While not “new” in the strictest sense–the film was finished in 1966–Little Girl is now available to screen for the first time ever, thanks to the heroic preservation efforts of the Academy Film Archive. With the sun squarely overhead, it is a great time to take in this tripartite rendering of small, bright wonders encountered in the North Bay–captured as always with Baillie’s graceful, meditative camera. You don’t even have to go outside! For more information on how to borrow this important artifact from Canyon’s history, click here. Little Girl is not the only new arrival Bruce sent to us this month. Our DVD stock of Bruce Baillie Volume II and Volume III, together encompassing the films Quick Billy, Quixote and Here I Am, has been replenished. Act now, before we run out again! And since you’re interested, take a look at the other DVDs we’ve also received this month. 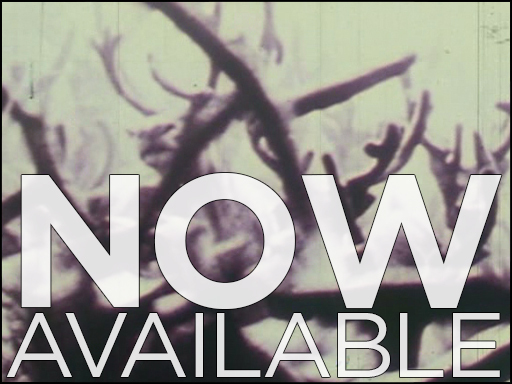 From Sergio Batiz, we have Don Fidencio and Danzante, two short films from his native Mexico (also available on 16mm); from Alice Anne Parker Severson, we have an omnibus collection of early work; and from Janis Crystal Lipzin, we have a number of new Super 8 transfers. Inspired? Click here for a full list of available DVDs. 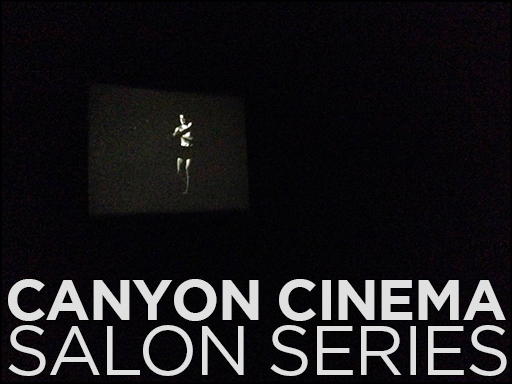 The Canyon Cinema Salon, our free monthly dialogue with important filmmakers, rolls on. On April 23rd, we will be hosting Lawrence Jordan at the New Nothing Cinema in San Francisco for a screening of Orb, Solar Sight II and Solar Sight III, as well as a live demonstration of his method. This will be an opportunity to engage with a legendary artist in an intimate and convivial setting, and we hope you can attend. In the meantime, click here to read an account of last month’s Salon by our volunteer John Schmidt, and see a list of all upcoming events here. As always, the show will start at 7:30–but arrive early, because we guarantee it will be standing room only. 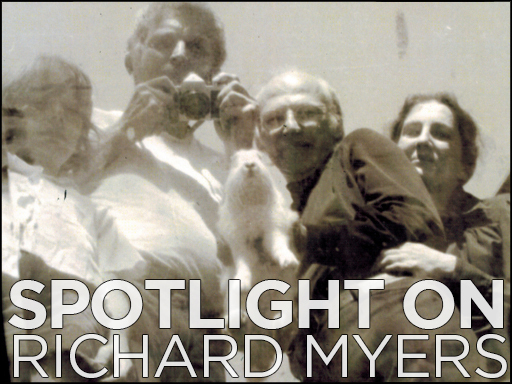 Stan Brakhage once declared that the cinematic output of Ohio-based filmmaker Richard Myers has “given us the ONLY consistently creative variable to dream-thinking in our time.” Bold praise, to be sure, but appropriate for an artist whose Midwest missives and unconscious explorations seem to tap into something collective. 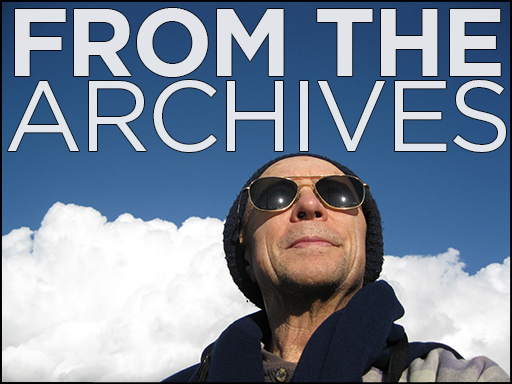 This month, Myers sent us a care package with a number of photographs and recollections, which you can view in entirety here. We have also put some of the material on our Tumblr, and if you want to explore his oeuvre more deeply, be sure to check out this newly-published hardcover monograph, available to purchase on his website. 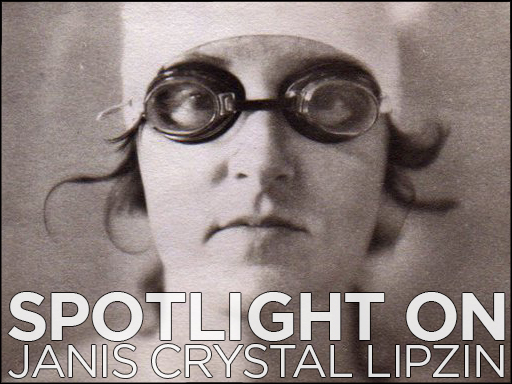 For the last forty years, Janis Crystal Lipzin has been one of Canyon Cinema’s most prolific and dedicated collaborators. A former Canyon board member and erstwhile editor of the Canyon Cinemanews, few have proven as tireless in their dedication to artist-made cinema as Janis. She has worked in virtually every form of reproducible media, taught across the country, and through it all continued to engage in sustained curatorial and critical practice. Find her on Fandor or in our catalog, and visit our blog to see excerpts from De Luce 2 and Micro-Celluloid Incidents in 4 Santas, as well as a still from her newly preserved film Franz Liszt. Janis Crystal Lipzin is just one of many Canyon filmmakers whose work will be featured in the 57th Annual San Francisco International Film Festival. 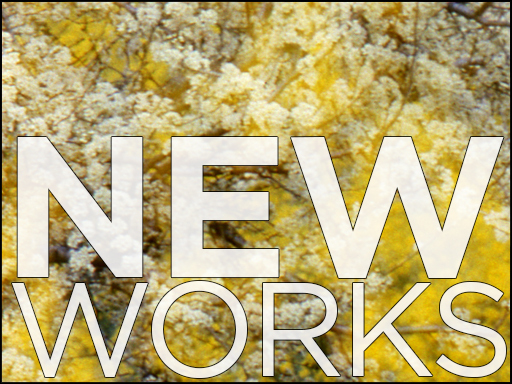 Her De Luce 2: Architectura will join Baillie’s aforementioned Little Girl, along with other new work by Paul Clipson, Su Friedrich, Lawrence Jordan, John Smith, Lewis Klahr, and Charlotte Pryce–all in one phenomenal program! 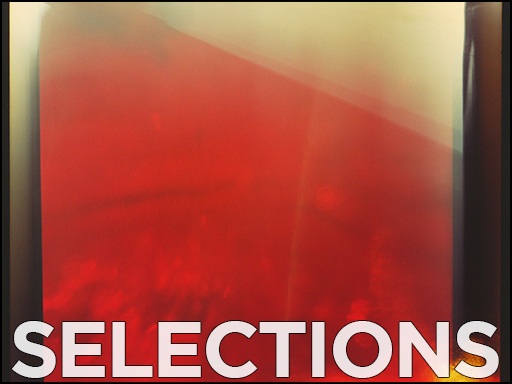 If you’re in the Bay Area, you will have two chances to see these shorts: once on April 27th at the Pacific Film Archive in Berkeley, and once on April 30th at the Kabuki Sundance in San Francisco. 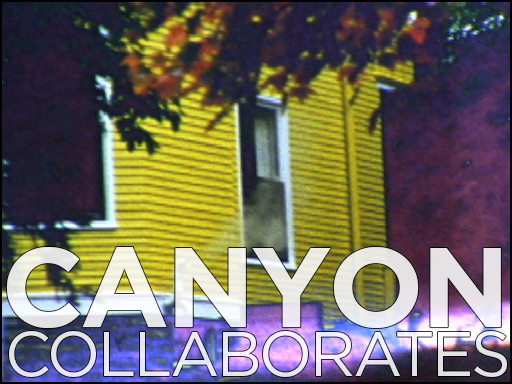 With so many Canyon films together under one roof, this is not an event to be missed. Meanwhile, across the Bay… our Director of Operations Denah Johnston is preparing to present a night of queer and queer-legible cinema from Canyon’s catalog. 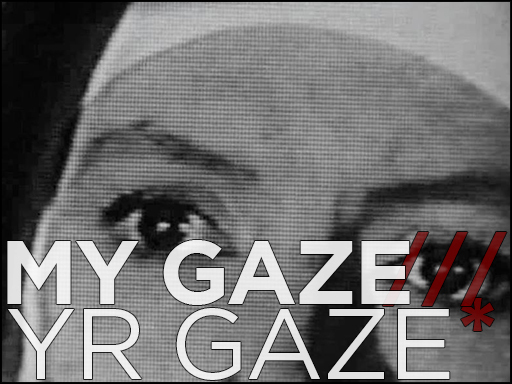 Teaming up with Irwin Swirnoff and the n/a exhibition and events space in Oakland, the program, my gaze///yr gaze*, will feature the work of Kenneth Anger, Naomi Uman, James Broughton, Warren Sonbert, and Curt McDowell, to name just a few. We’re not kidding: this program is extensive, and its free, and you owe it to yourself to attend–that is, if you’re not already going to be at the Pacific Film Archive for the Canyon shorts playing in the SFIFF. Click here for full details. And finally, a gem from the Internet Archive. We recently happened upon this set of tapes, recorded by Bruce Baillie for posterity. 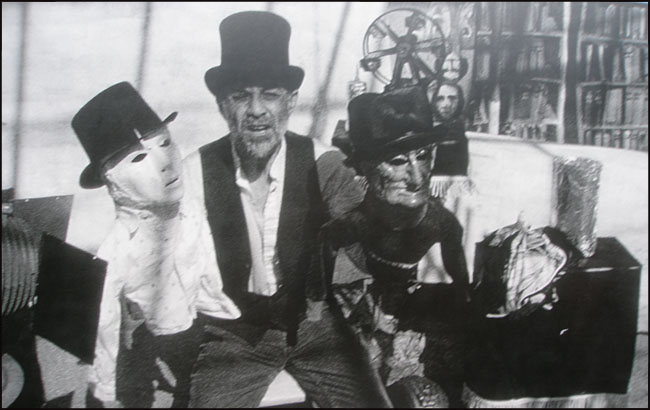 We reached out to Bruce for some information about them, and he told us, simply, that “living my particular life has been recording somehow that life.” It’s true: this kaleidoscopic history–part exegesis, part biography, part list of “credits”–paints an intimate and compelling portrait of Baillie’s life and circumstances, circa 1977. Listen as he describes his fascination with “the divine and the profane,” his desire to train a generation of filmmakers working with “reverent purpose,” and the humble neighborhood origins of Canyon Cinema.